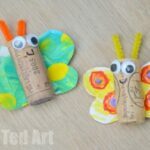 My kids have always enjoyed Junk Modelling. Pip Squeak’s junk modelling tends to consist of tp rolls, cardboard boxes and LOTS of tape. 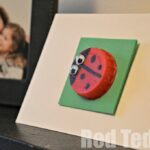 Red Ted, now 7, is gradually moving on and looking for “cooler things” to craft (I say GRADUALLY, as we have plenty of back to basic days too). 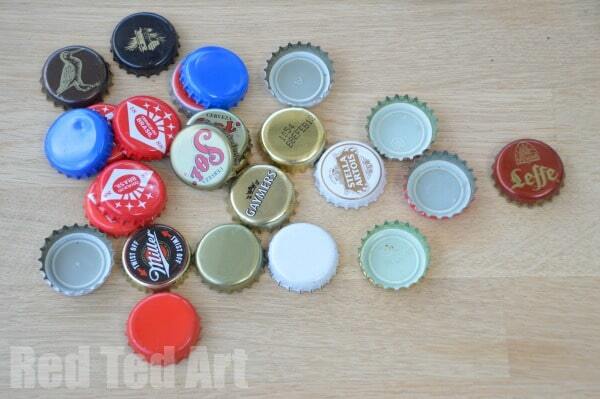 A session of Bottle Top crafting and assembling is just the thing for him. 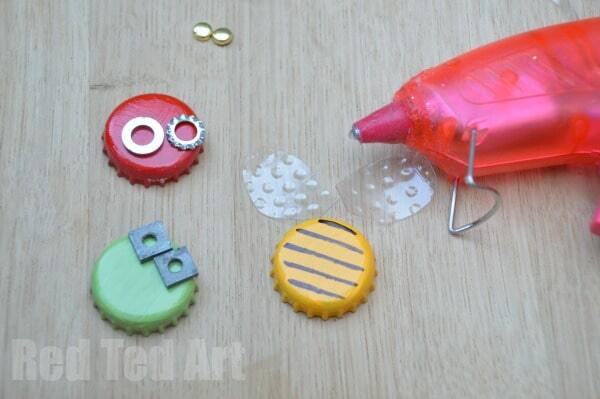 We had a big bag of Beer Bottle Tops to craft with and had a good old rummage in the tool box for bits and pieces to get crafty with. 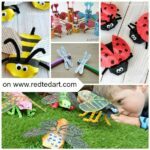 This is most definitely team work – as it involves a hot glue gun, but it is an interesting move away from the more “kiddy” craft that we still very much enjoy making. 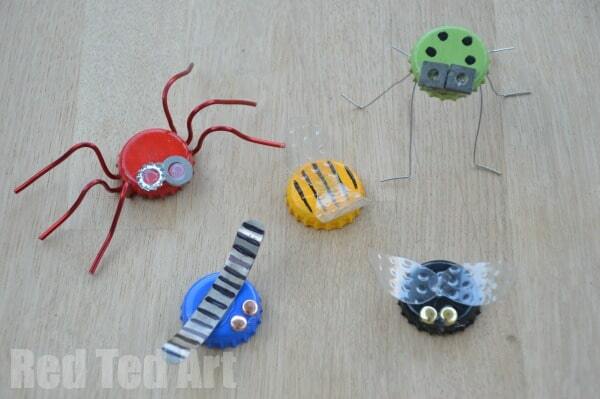 So… using some old bottle tops and rummaging through our tool box for some bits and pieces and soon you have enough items to make some fun little mini beasts. 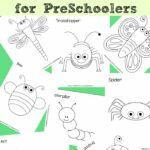 Be as adventurous as you like and create your own imaginary bugs and creatures. 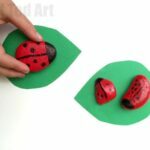 If you want, you can add some magnets to the bottom of your creatures and use them as quirky fridge magnets! 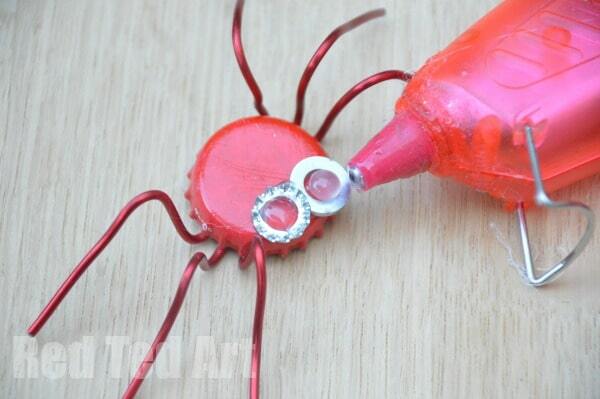 Begin by painting your bottle tops in your desired colours. You may need 2-3 layers depending on the paint you are using. 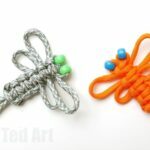 It is handy to keep similar colours together – e.g. if your lid is red with white writing, paint it red! Let dry. 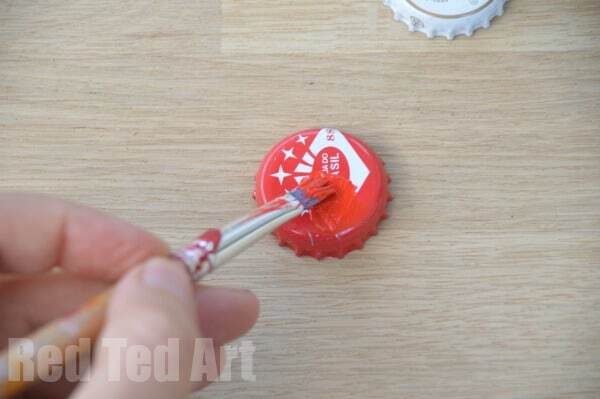 Enamel paints dry very quickly, so you don’t have to wait to long to add second layer if is needed! 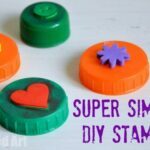 Using your hot glue gun, carefully add your embellishments and done! 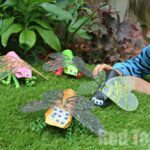 Hide your Beer Bottle Mini Beasts in the garden and go on a bug hunt! 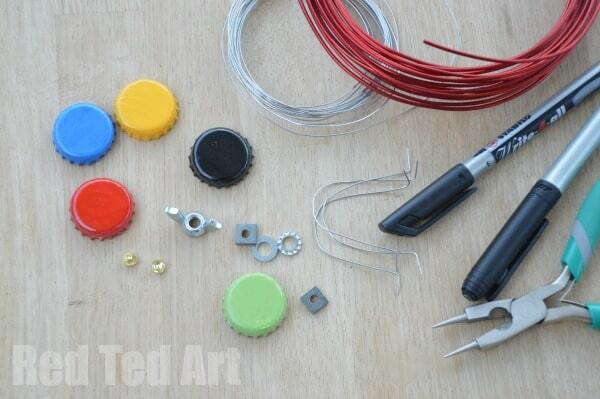 So cute Maggy – I’m going to have to start drinking things with a bottle cap just to get some.